It’s perhaps one of the biggest shows in the GCC Region cultivating the Middle East’s love and appreciation of Pop Culture from Comics to Games to Movies and Anime/Manga. This entry was posted in Info on April 3, 2019 by OtakuME. This entry was posted in Info on March 13, 2019 by OtakuME. 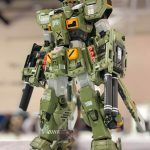 When it comes to Gundam hobby model kits, one of the more popular choices for fans in the Middle East is often is the 1/100 Master Grade line up for their scaled up size and build complexity. This entry was posted in Unboxing and Reviews, Builds on February 27, 2019 by OtakuME. 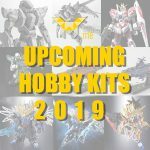 It’s no secret that anime fans of the Middle East love their collectible hobby model kits, and 2019 brings a bunch of awesome new kits recently announced by Bandai that we here at Otaku ME look forward to having soon, including Gundam, Space Battleship Yamato, Full Metal Panic and more! 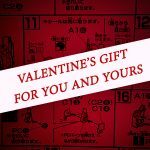 This entry was posted in Info, Gunpla Generations on February 20, 2019 by OtakuME. 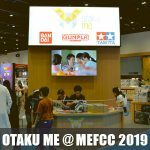 Whether you're shopping to spoil the people you love or want to spend on yourself this Valentine’s Day, Otaku ME carries an extensive list of hobby kits and supplies in Dubai that are perfect gifts for this month of hearts. Discover the joy of building together with our top favorite kits whether at our store or wherever you may be. This entry was posted in Info on February 13, 2019 by OtakuME. The Otaku ME Modelers Cup! This entry was posted in Events on February 6, 2019 by OtakuME. 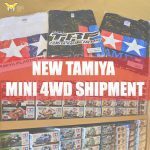 A New Shipment arrived that includes Tamiya Racing T-Shirts, Mini4WD Sticker and Decal sheets, a replenishment of parts and some Brand New Mini4WD Car Kits to our collection! Not to mention a replenishment on several of your favourite kits and upgrade parts! 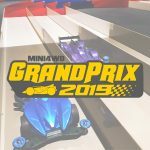 This entry was posted in Mini4WD, Info on January 23, 2019 by OtakuME. Ever since we’ve moved into our new store, we wanted to expand on the services we can provide to the community. 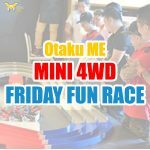 This entry was posted in Mini4WD, Events on January 23, 2019 by OtakuME. What happens when someone takes in the best of the GM Stormbringer and GM Turbulence? 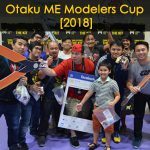 Champion on the Open Course Category for the Otaku ME Modelers Cup 2018! 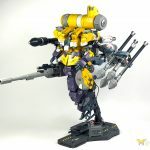 This entry was posted in Master Modelers on January 9, 2019 by OtakuME. The Jupiter Ghost was a concept design from the Gundam: Solomon Express, never actually made into model...until now. 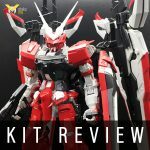 This entry was posted in Master Modelers on December 29, 2018 by OtakuME.